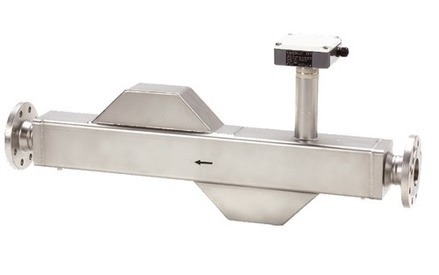 The MASS MC2 DN 50 to 150 is suitable for accurate mass flow measurement for all kinds of liquids and gases. The MC2 It is very accurate, typically better 0.15% it also has a large turndown and low pressure drop. Coriolis meters detect flows by vibrating a pair of parallel tubes and measuring the effect that a mass of the media flowing through the meter has on the vibrating tubes. Coriolis meters also have temperature sensors providing the necessary temperature correction. With a high accuracy of the MC2 is better typically better than 0.15% of the mass flow rate. The sensor is designed with a parallel S-tube, saves space, reduces pressure drop and increases turndown. The MASS MC2 is self-draining in both horizontal and vertical position.